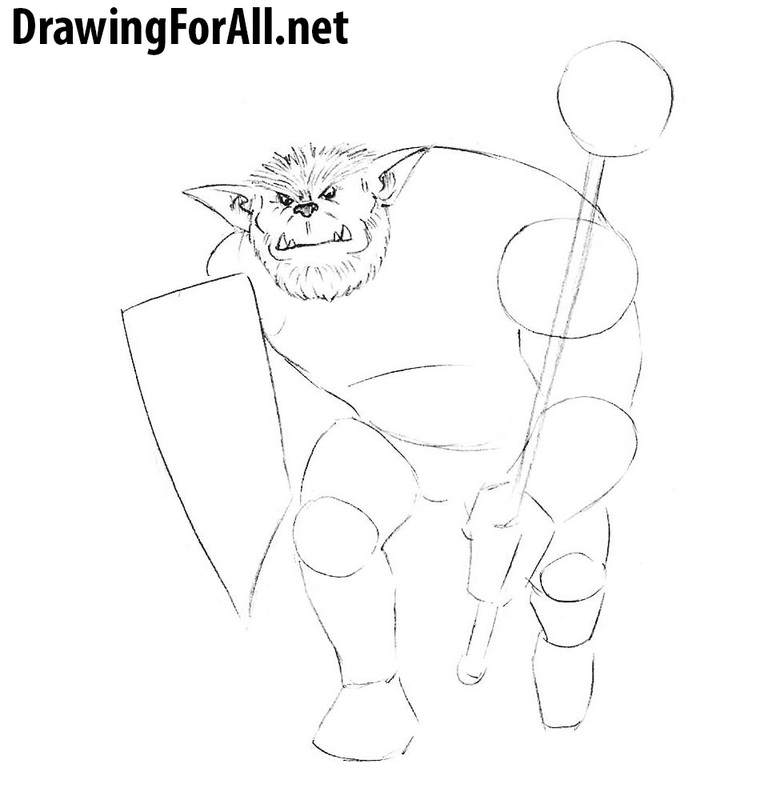 Hello dear readers and welcome to the lesson where we learn how to draw a bugbear! 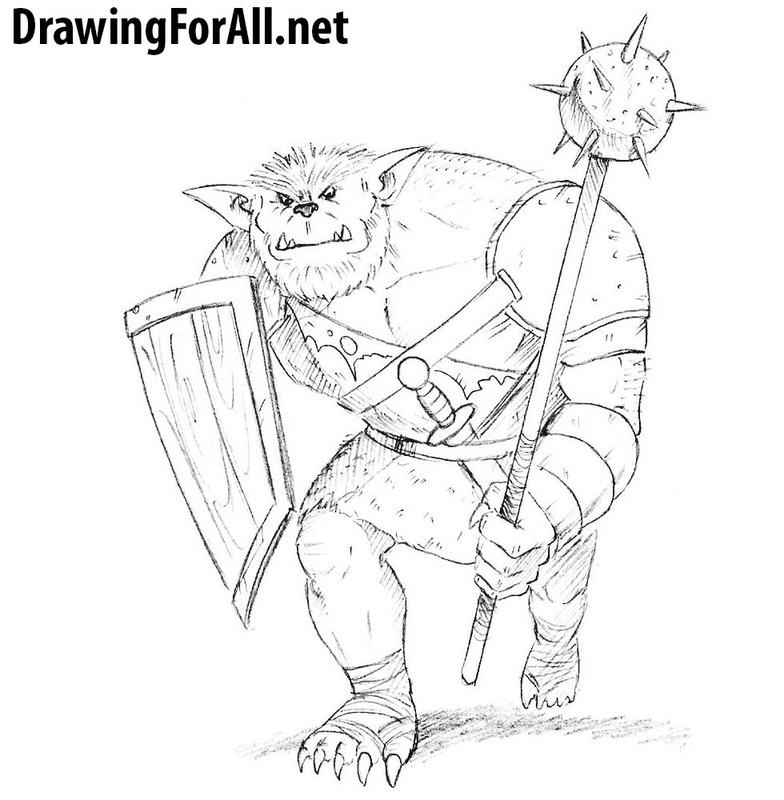 If you are already here then you most likely know that bugbear is a monster from various versions of Dungeons & Dragons, one of the largest and least numerous varieties of goblinoids. 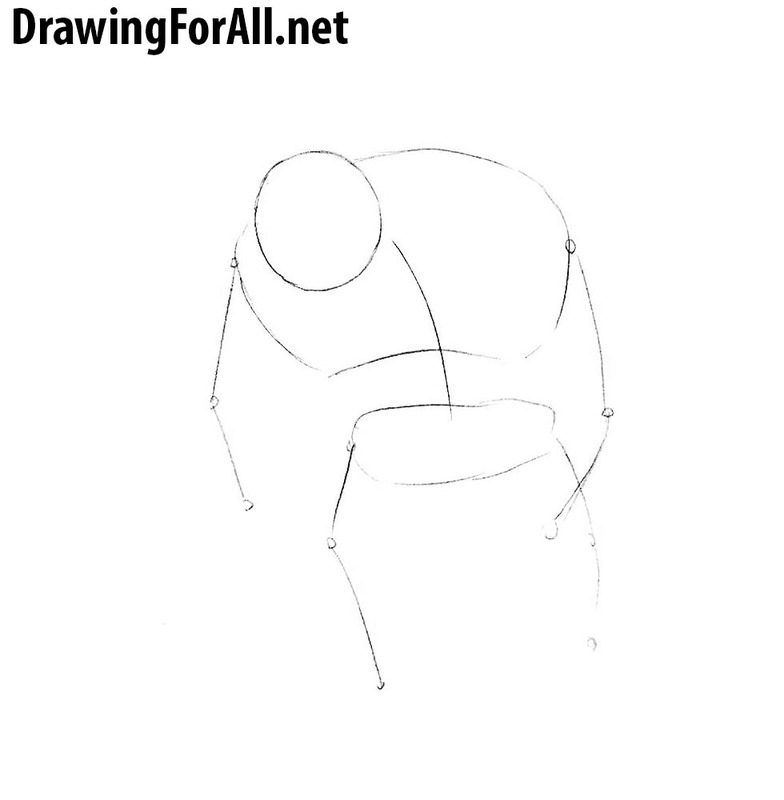 Draw the head with a simple circle. 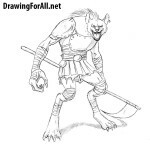 Next draw the spine of the bugbear with the chest and pelvis. 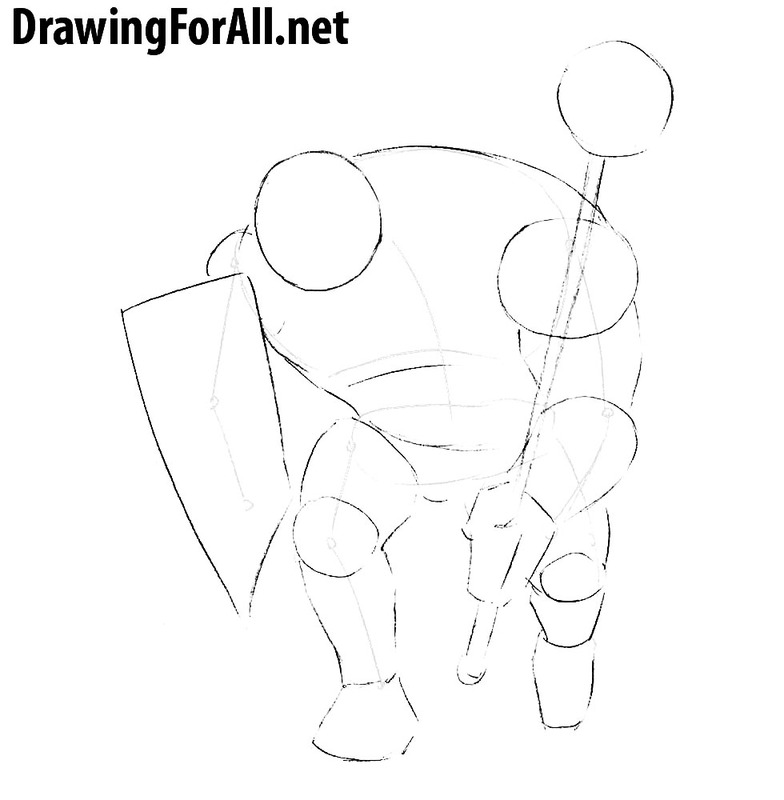 Sketch out the arms and legs with simple lines. As you can see the physique of the bugbear is like the physique of a very strong man with disproportionately short legs. 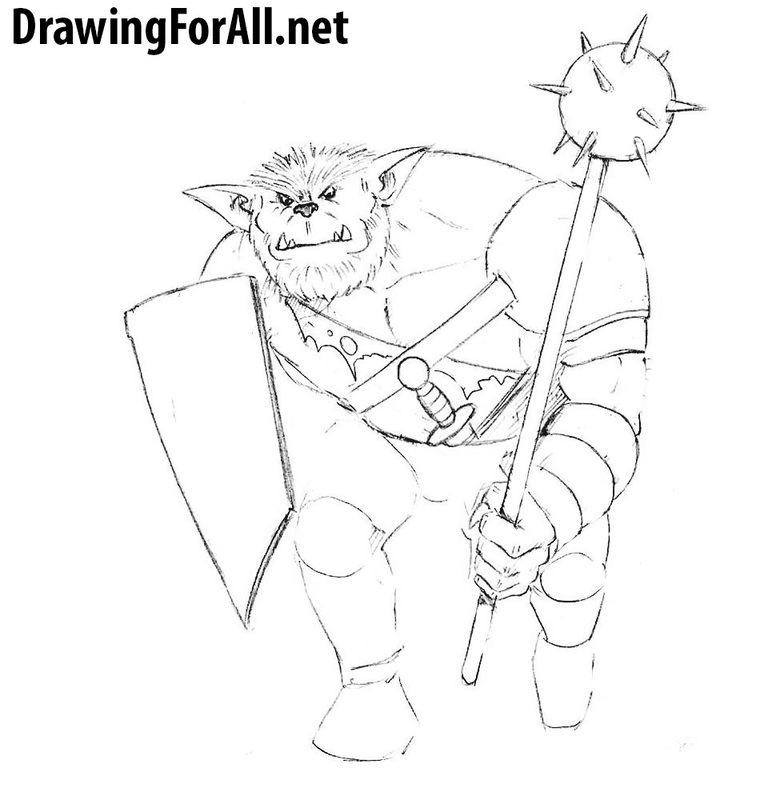 We continue the lesson about how to draw a bugbear. Here we draw his face. Bugbears are called so because of their external resemblance to bears, so draw a bearish nose, small angry eyes and protruding teeth. Erase all unnecessary lines from the head. Draw the large pointed ears. Hair of bugbear like a normal bear is very hard, so draw sticking hair and beard. In addition add a few wrinkles on the face. 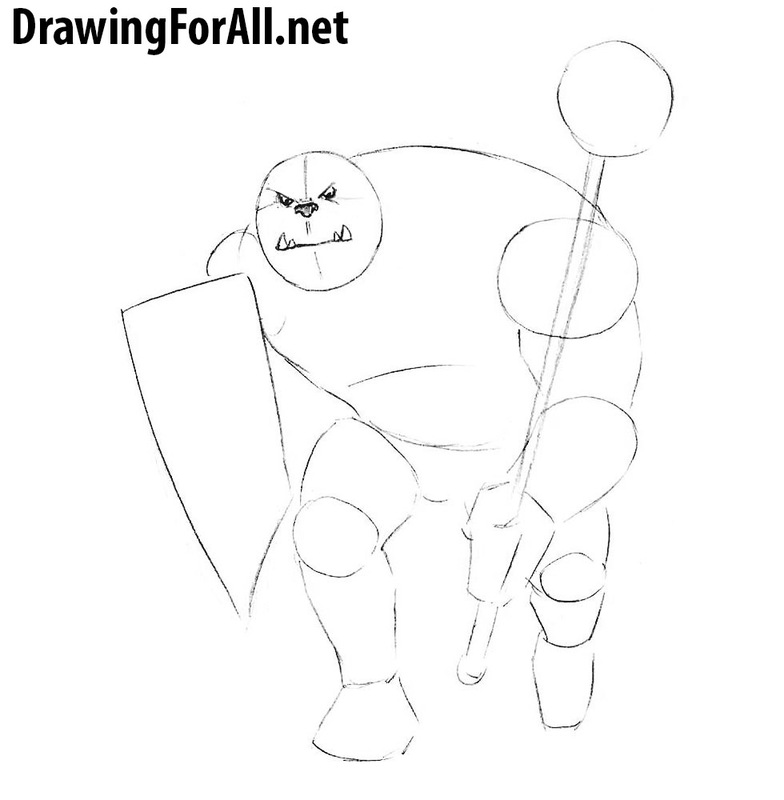 Draw out the shield, making the lines more even. On the torso we mark out a ragged and slightly hanging clothes made of skins. In addition, we sketch out the armor on the shoulder and the strap that runs through the entire body and the dagger behind the belt. 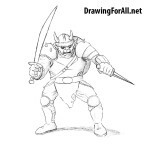 We continue to draw the bugbear. Let’s work with the arm. Finish the armor which is on the shoulder and on the forearm. Carefully draw out the fist with a morning star grabbed in it. 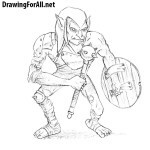 Draw the legs of the bugbear. The upper parts of the legs as you see are covered with skin the upper part of which we drew in one of the previous steps. 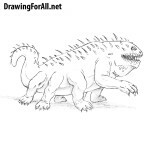 Note that the legs of the bugbear are also very similar to the legs of a bear. Well, and how we always do it in the last steps of our tutorials let’s add shadows to the drawing. 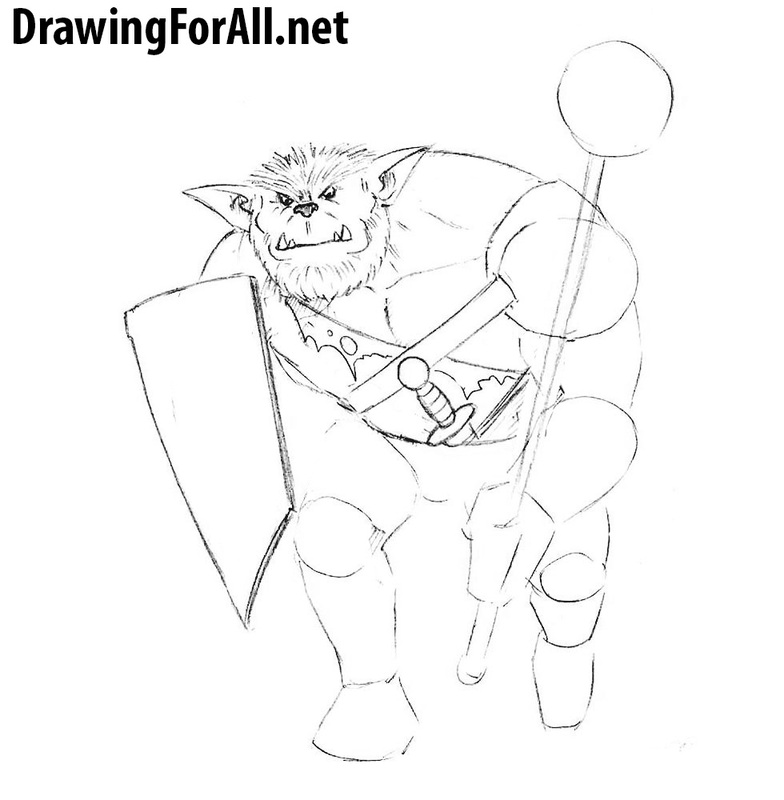 But first of all we add some hair to the body of the bugbear and the structure of the wood to the shield. Then add the shadows using the classic hatching, after we determine the source of the light. 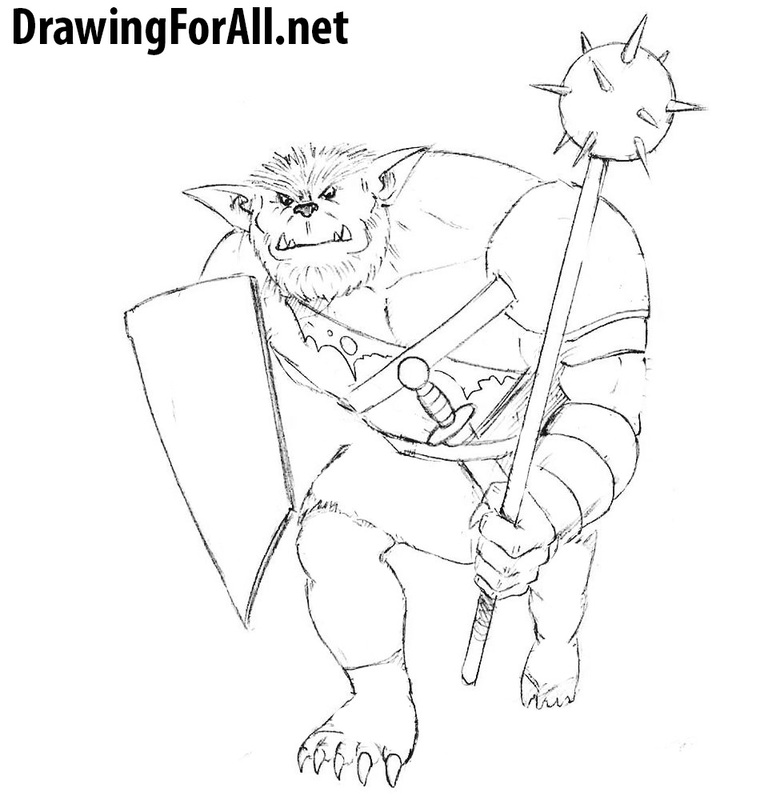 So we finished drawing the bugbear, and he is ready to meet with wizards and knights in order to protect the treasure chest in his dungeon.